Most of our rooting and ROMing readers should be familiar with the name GravityBox, which is a set of tweaks that use the Xposed framework to modify AOSP-based ROMs with features and tweaks typically found in third-party projects—giving you ROM-like features while running stock, basically. 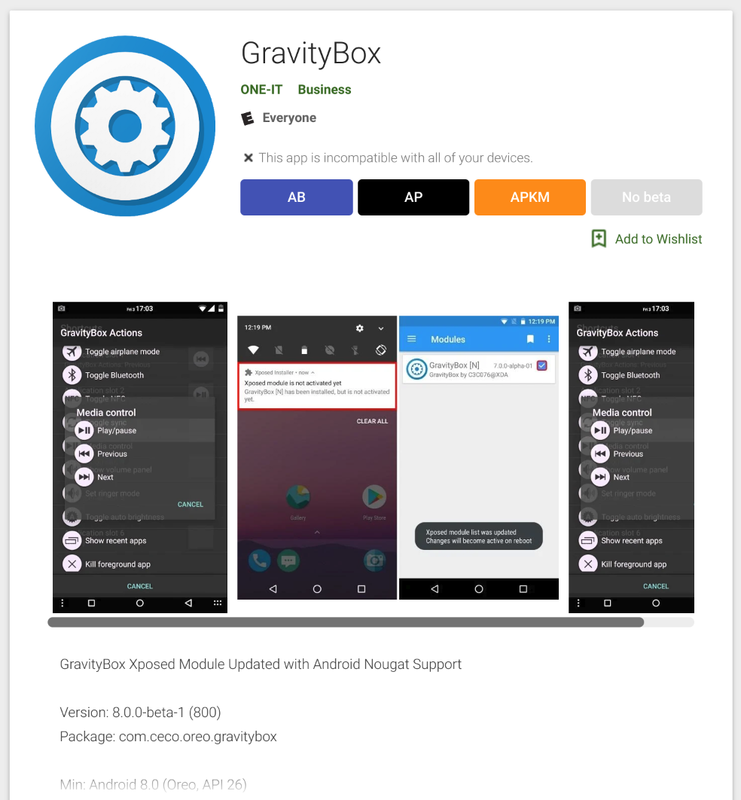 Earlier today we were interested to see the tool had a listing on the Play Store, but after reaching out to GravityBox developer C3C076, we've learned it has no association with the project. As of now, although the listing for the app is public, it doesn't actually seem to be compatible with any devices. Given the more than sketchy provenance of the listing and its non-association with the original developer, that's probably a good thing. This isn't the first time GravityBox has had this sort of trouble. We spoke to the project's developer about the Play Store listing and were told that this has happened before. Some time a while back, another developer was caught deceitfully distributing GravityBox as a paid app. While this latest listing isn't quite so bad, the developer is still concerned that even having apps which use Xposed listed on the Play Store could encourage Google to take a firmer stance against them on the merits of security. The publisher of the new listing on the Play Store is "ONE-IT," and we haven't been able to conclusively figure out who that might be. The listing for the developer on the Play Store also doesn't seem to be working. We reached out to the email provided for support on the listing for comment, and if any is provided, we'll update our coverage. Either way, if the app listing expands to support more devices, you probably shouldn't install it. Instead, stick to pulling it down via the Xposed Module Repository or the official XDA threads. Late last night, the original GravityBox developer told us they were contacted by Google and notified that the app was set to be removed from the Play Store after having been found to violate Google's policies. 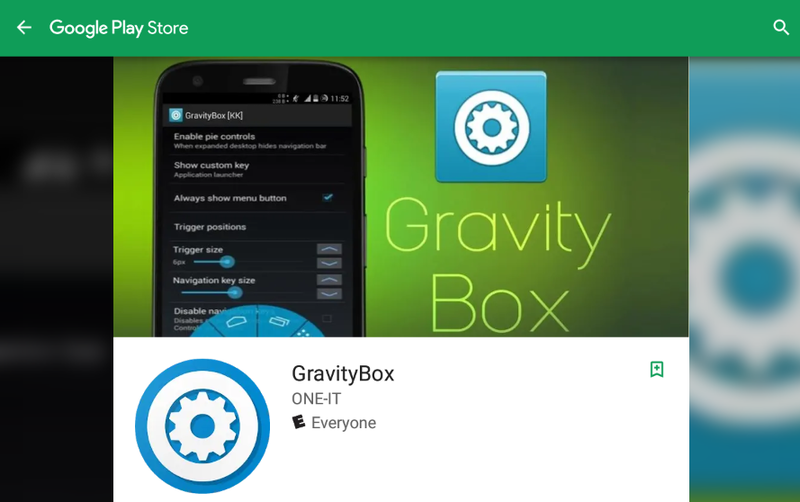 As of now, the listing for the app is gone, so GravityBox is back off the Play Store.